Compact dwarf evergreen shrub of neat rounded habit with small dark green leaves which turn bronze in winter. 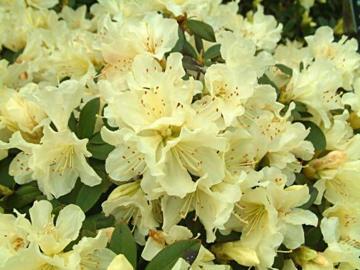 Abundant compact trusses of pale yellow flowers in early and mid spring. 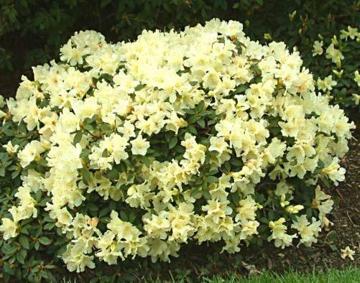 Suitable for the rock garden or similar plantings. Hybrid of Rhododendron fletcherianum x Rhododendron keiskei 'Yaku Fairy'.